"Every girl deserves a GLITTER tutu"
The glitter tutu wins hands down when it comes to our little customers' wonderful dress up ideas and marvellous make-believe stories. Every week we are constantly amazed at the wonderful photos and magical stories that continue to pour in. We look forward to hearing your little one's story when she opens her Dancina Glitter Tutu Parcel. This is why we do what we do - it makes it all worthwhile. Our little ones are small for such a short amount of time. It's so important to get those beautiful memories recorded for your family history. Of course, your little princess must look her best and what better way for her to shine than in a Dancina Glitter Tutu!!! Not only are Dancina tutus adorable and loved by hundreds, they are also super soft against sensitive skin. You don't want your little girl to get scratch marks from sub-quality tutus. Our specially designed 4 layer tulle tutus ensure a scratch-free fit. 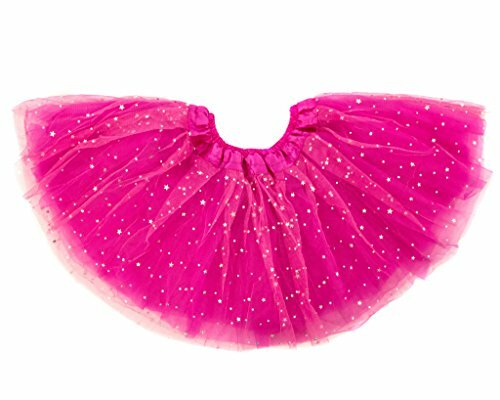 This fun glitter tutu fits girls of age group 6 months- 8 years with a very high perfect fit %. However, to be absolutely sure you get the completely perfect size for your little girl, we always suggest you measure her waistline before placing the order.